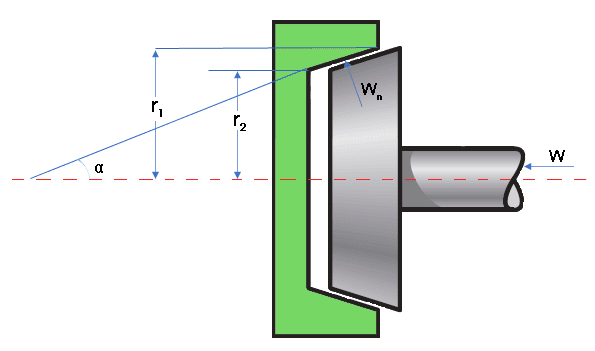 A simple cone clutch is shown in figure. 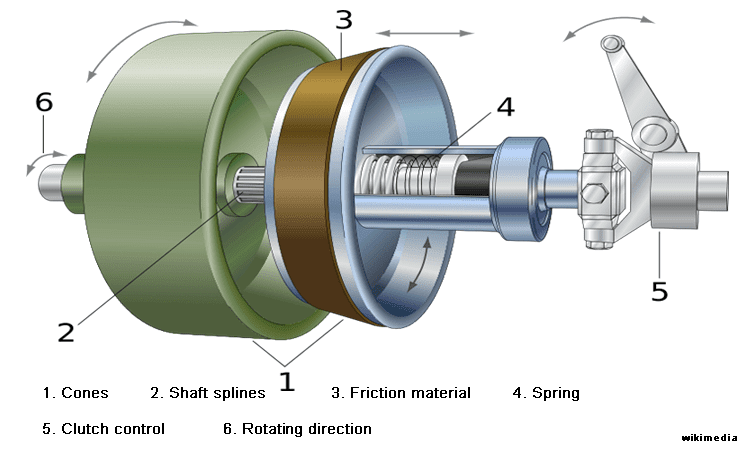 Cone clutch consists of an inner cup attached to driving shaft and follower cone. Follower cone is movable; it can axially slide over the driven member. The inner side of the driver cup exactly fits the outer surface of the cone. The slope of the cone is made small, that help to give higher normal forces. The recommended angle of slope is between 8-15 degree. According to the allowable normal pressure and coefficient of friction required the contact face of the driven member is lined with material like leather, asbestos, wood, etc. The clutch engaged by bringing two cone surface together in contact. A spring is provided on the driven shaft to hold the face of clutch in touch by producing required axial force. A forked lever is used to disengagement of the clutch. Small axial force is required to keep the clutch engaged. 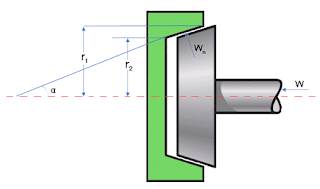 For a given dimension, the torque transmitted by cone clutch is higher than that of a single plate clutch. One pair of friction surface only. The small cone angle causes some reluctance in disengagement.